Catch Tonight Alive and Fossil Youth on tour—plus, hear new songs from Cane Hill, Heart Attack Man, Eternal Void and White Knife Study. Check out the news you might have missed today below! The track is taken from the band’s second full-length, Too Far Gone, out January 19 via Rise Records. 2. Tonight Alive announced that ROAM and the Gospel Youth will be joining them on their UK and EU tour. Tickets for the March shows are currently on sale now. 3. 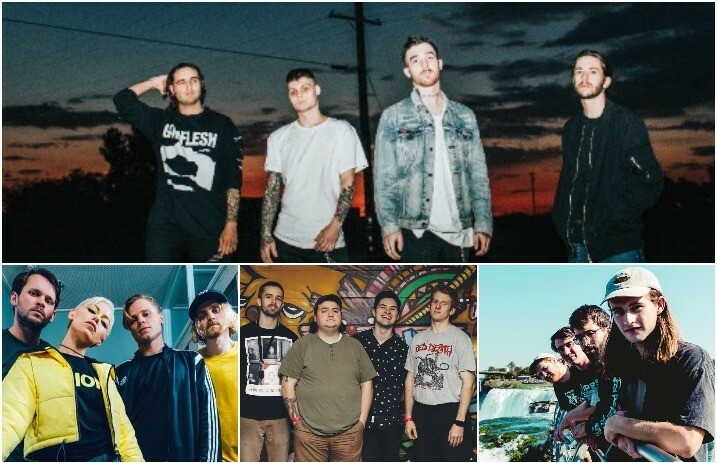 Emo Nite LA announced their first wave of nationwide Emo Nite tour dates. They’ll be hitting cities across the U.S., including Denver, Seattle, Atlanta, Philadelphia and more. The track is taken from their upcoming split with McCafferty, set to be released Feb. 2. 5. Fossil Youth announced the final leg of their 2018 tour. They’ll be hitting the northeast with Rich People and Bogues and the southeast with Northbound. 6. Tragic Hero Records announced their first signing of the year: Eternal Void. The band are also premiering their first single, “Element,” off Catharsis, out March 2. It’s the second single from the band.